So, what do I have on hand that would fit? After reading Oryx and Crake, I was actually pretty mad at Margaret Atwood. In the Handmaid’s Tale, I thought the epilogue was a few too sentences too many; but with O&A, not nearly enough sentences were written. I mean, really, would it have killed her to write one more sentence at the end to give us a sense of, well, an ending? Well, she did write a sentence more. Actually she wrote The Year of the Flood and it answers all of the questions raised in O&A for which I was grateful. Maddaddam, the third novel in the series is slated to be published in 2013, and while I’m looking forward to it as an expansion of the world that Atwood created, I don’t need to read it to get a sense of closure. I wanted to love this novella. I really did. Having been to Monterrey, CA, I loved the idea of having an actual place to connect with the setting of the book. And really, come on! John Steinbeck! 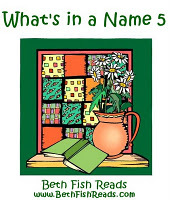 Who hasn’t been moved by The Grapes of Wrath, The Red Pony and/or Of Mice and Men? Also, the jacket blurb offered something along the lines of an Arthurian tale: “Like the Knights of the Round Table, the dreamers who gather at Danny’s house share joy and fellowship, triumphs and sorrows.” Alas, the freeloaders, drunks and cheats who populate these pages have more in common with the crew hanging out at 7-11 with nothing to do than with the Romantic figures of Camelot. Seventeen chapters over two-hundred pages of post-war (WWI) vets who never quite get it together. The Reptile Room continues the story of the three Baudelaire orphans who wind up in the custody of Uncle Monty, a respected herpetologist. Lemony Snicket always forewarns readers that these tales do not end HEA, and yet I find myself once again surprised that this is in fact true! I think hope endures on my part because I know that these are children’s stories ergo they can’t possibly be this “angsty!” Regardless, the stories are clever and and certainly had me wondering what was going to happen next! So what’s up with that? Why didn’t I post the reviews for the last two books I read? And seriously, the review for From the Land of the Moon was pretty half-assed at that. Actually, if you’ve been following my blog for the past six months, you’ll notice that not much has been going on at all…. 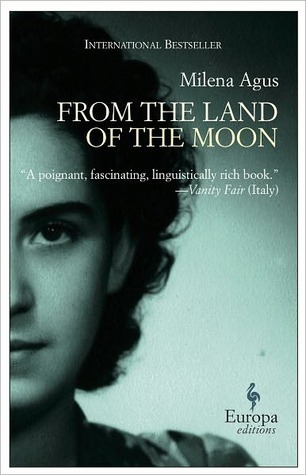 From the Land of the Moon is a novella about a Sardinian woman searching for love in the post-war years amongst the metaphorical and literal ruins of her life. The woman recognizes that her nature is perhaps flawed as true love seems to remain elusive. Her quest assumes at times, sad, pitiable, desperate and creative forms that echo the pathos of Anna Karenina and Madam Bovary. The woman moves about the Italian landscapes of Cagliari and Milan as the country rebuilds from the effects of Allied Bombing and Nazi retreat. The settings of the story provide the physical architecture of the woman’s efforts and parallels can be drawn between the reconstruction and her state of mind. The story is told from the point of view of the woman’s granddaughter after the woman, referred to as Grandmother, has passed away, providing a doubly unreliable narrative: The woman herself may have been insane and her story suffers from being two generations away from being immediately verified. From the Land of the Moon is poignant without being maudlin and, the letter which serves as the final chapter is a powerful denouement. I borrowed a copy of From the Land of the Moon (by Milena Agus; translated from the Italian by Ann Goldstein) form the Jackson County Library System in Southern Oregon. I receive no monies, goods and/or service in exchange for reviewing this product and/or mentioning any of the persons that are or may be implied in this post.